Why do I need a Medical Release Form? Each season you will receive a medical release for each player on your team. Parents need to sign the bottom of their child’s medical release! You will keep the signed releases. If for any reason an injury occurs and the parent is not in attendance to take care of the child, this release will help you contact the appropriate person. 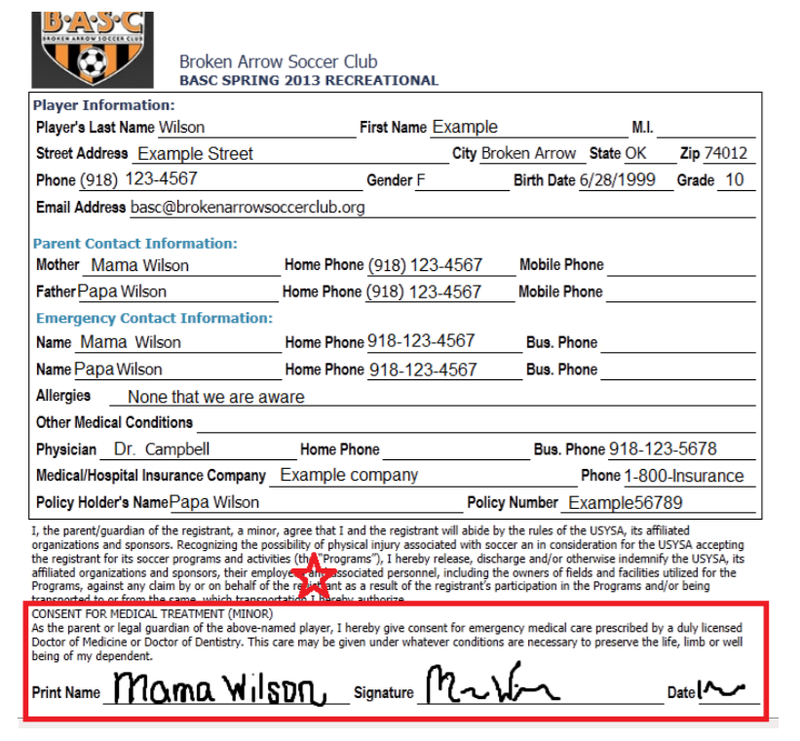 Or if you need to accompany the child to a doctor, ambulance or hospital facility, you will have the appropriate paperwork giving consent for medical treatment of the injured player.